YOU MAY NOT DECLARE A DISQUALIFIED BOATED BLUE MARLIN OR ANY DISQUALIFICATION AS A DECLARED NON-FISHING DAY. EARLY BIRD REGISTRATION FOR 2016 SEE FORM FOR DETAILS - REGISTRATION MUST BE RECEIVED NO LATER THAN 11:59 P.M. 6/22/2016 TO QUALIFY! ALL ABOUT US - THE HGS! 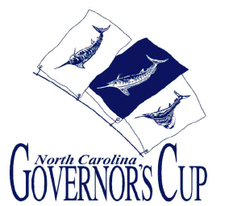 Within the last 11 years, the Hatteras Grand Slam Tournament has increased its participants. A bet which had started between Captains fishing one day offshore in the prime of Marlin season off the Hatteras Coastline in 2005, has become a successful Offshore Tournament. In 2010, we had 35 boats and their crew-members which participated in the tournament. Our boat registration was limited in 2011 to 18 boats, do to weather condition and an increase in boats in 2012 and 2013. This growth in participation allowed the community to successfully implement a “grass roots” tournament. This year’s mission is continued growth. Additionally, the board wishes to promote the tournament encouraging a wider range of boaters to participate. Furthermore, the Grand Slam Board of Directors and the Tournament Committee are contacting prior year’s participants to encourage their participation again for the 2016 tournament. Also, the website is linked with the Registration Form and Rules of the Tournament an entry form that can be downloaded to facilitate registration.